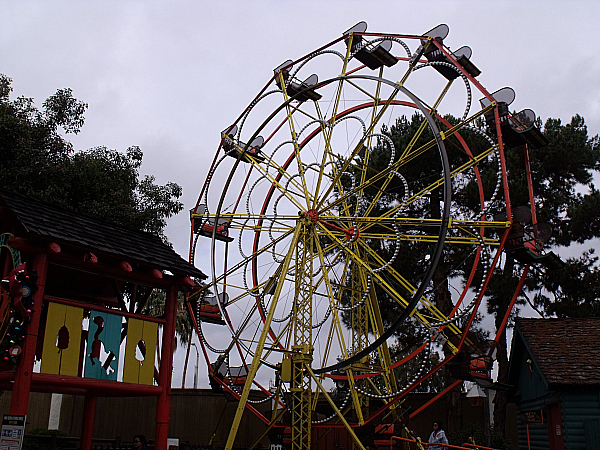 Have you been to Knott’s Merry Farm, yet? I went last week and had a fantastic time! 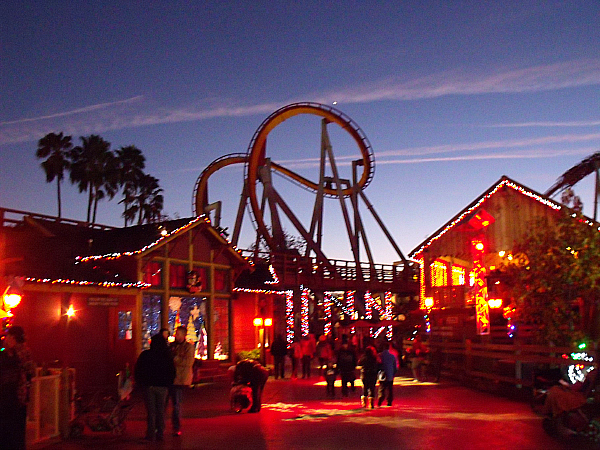 Knott’s Berry Farm is fun anytime of the year, but my favorite time to visit is at the holidays. The decorations are beautiful during the day and at night when it all lights up. 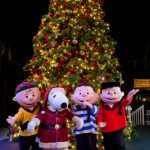 Of course, there are special holiday programs featuring Snoopy, Charlie Brown and the rest of the Peanuts characters. The weather was cold and wet, the day I was at Merry Farm, but that wasn’t a problem at all. It rained a bit when we first arrived and then cleared up for the afternoon and evening. The kids didn’t mind at all and there were virtually no lines at all. 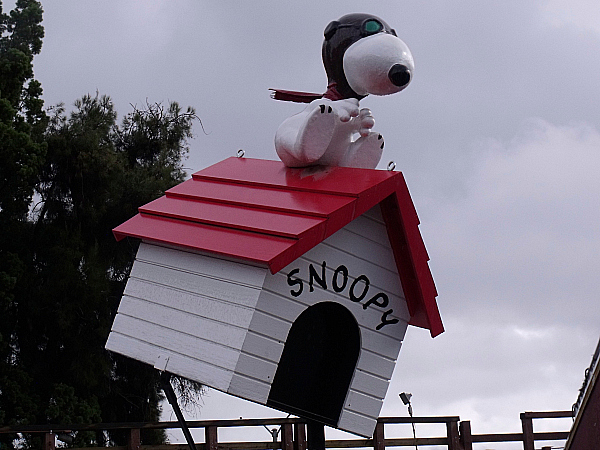 We spent most of the day in Camp Snoopy. 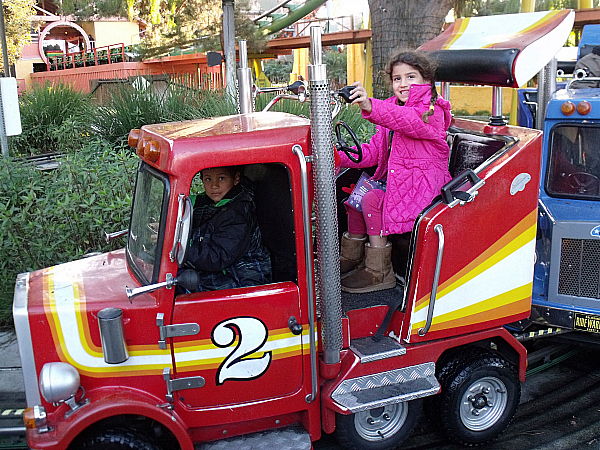 The kids waited a few minutes for some of the rides, but were able to get right on most of them. With lines this short, they were able to go on there favorites more than once. 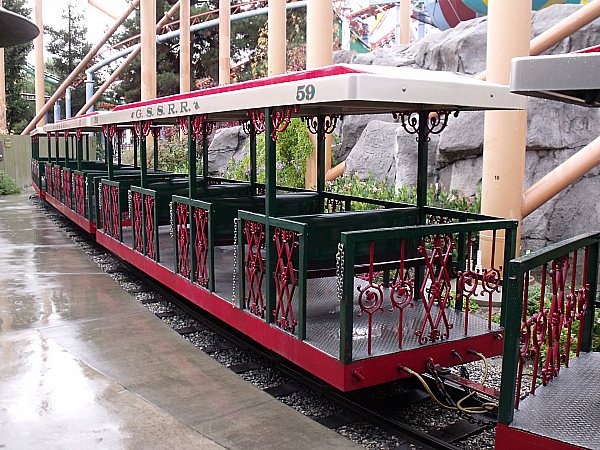 I heard from others that the lines throughout the park moved quickly, too. 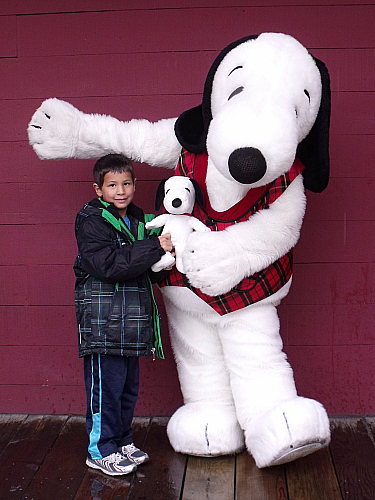 We ventured out of Camp Snoopy to enjoy the ice skating show, It’s Christmas Snoopy. The skating is great and the show has a combination of modern and traditional music that the kids enjoyed. We had a fantastic lunch at the Ghost Town Grill and enjoyed looking at the shops and watching the artisans work. 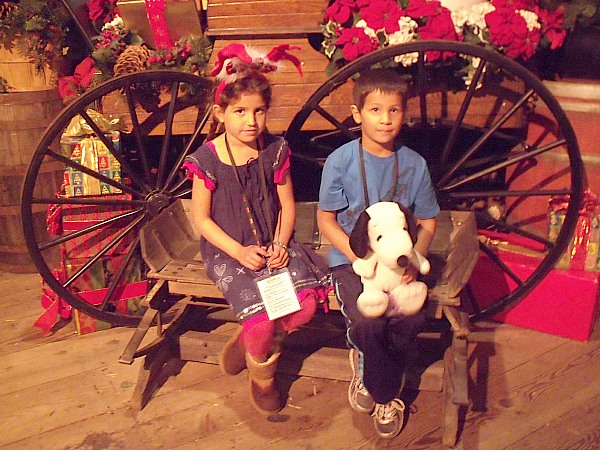 The kids got to see Santa and enjoy some holiday treats at Santa’s Cabin. There was hot cocoa, ice cream sundaes, fresh baked cookies and more. The room was decorated beautifully. It was a nice place to soak up the happy holiday atmosphere before heading home after a long and fun day! 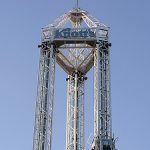 CONNECT – You can like Knott’s on Facebook and follow them on Twitter.